Soaring rates of car ownership in China’s biggest cities are causing huge problems, from days-long traffic jams to choking smog. Even car companies say the trend is not sustainable. General Motors says one solution could be to reinvent the vehicle. Introducing the Miao, the Jiao, and the Shiao – three cute, tiny cars with a serious mission. Car ownership in China has a dark side. Last year, a nine-day and a three-day construction-related traffic jam on the highway leading to Beijing were the most dramatic examples. In addition, car exhaust is adding to the horrendous smog caused by factory emissions in Shanghai and Beijing. Then there’s the everyday frustration of traffic snarls inside the cities. And lack of parking spaces. Paul Kang’s family lives near Beijing. He says only ten years ago, cars in his neighborhood were pretty rare. It’s a different story now. "If my father comes home a little late, maybe 10:00 in the evening," notes Kang, "we can’t even find a place to park our car." The problem is only going to get worse. People are moving by the millions into China’s cities. 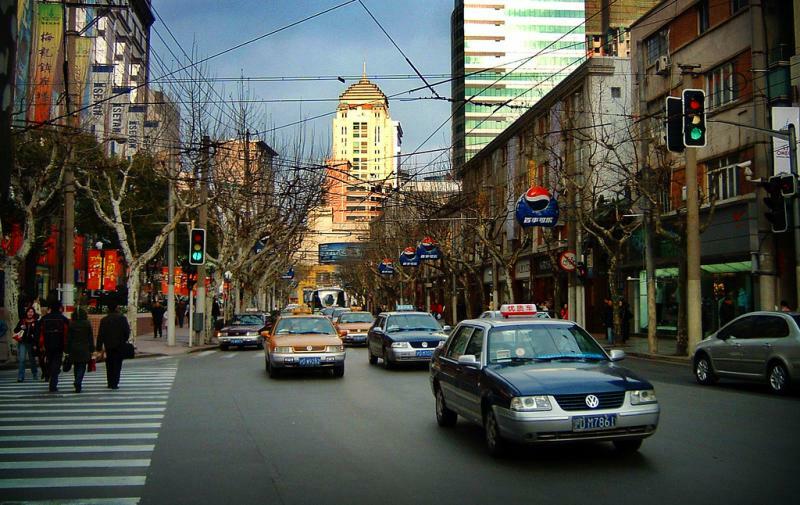 By 2030, 65 percent of Chinese residents will live in the cities, compared to 45 percent today. Congestion and parking problems are likely to worsen in New York and L.A., too, along with megacities around the world. One solution may be electric vehicles that communicate with each other. Another could be the EN-V. It is an electric vehicle but it seats only two people, and it only has two wheels. Mary Pan is GM China’s vehicle manager for the EN-V. GM has made three of these pod-like cars, each with a different character. "One is called shiao, which means smile," says Pan. "When you look at it, it’s very cute and it’s very happy." Then there’s the Jiao, based on the red, black and white Chinese opera facemask, and the Miao, an all-black high-tech version. You get in, close the roof, and the EN-V rears up, to balance on its two wheels, and off it goes. The vehicle can turn in 180 degrees, which means parking in small spaces would be a cinch, compared to the parallel parking gymnastics U.S. drivers often have to go through. The EN-V is so small you could park five times as many of them in a parking lot as you could park regular size vehicles. They can drive themselves, and passengers inside can work at their laptops or read. Two or more cars could be linked for larger groups to travel together. Crash avoidance technology would keep people safe. "You know if you’re busy, your kid has to go to school, you can just put your kid in the car and it will take him to school and bring him back," says Pan. "That is the vision for 20 years from now." GM isn’t talking cost, yet –but an EN-V would be a lot more affordable than a bigger electric car. GM says the EN-V would be only part of the solution to transportation problems in big cities. The company plans to begin testing the EN-V in a pilot project just outside Beijing in the next couple of years. Meanwhile, China’s mega cities have to do something in the short term about traffic congestion and smog. Unfortunately for companies that sell cars, and potential customers, that solution is to put limits on car ownership. Beijing now has a lottery for license plates. Shanghai auctions them off. At a recent auction, license plates were selling for more than $8,000. General Motors now sells more cars in China that it does in the United States. In a few years, it’s likely that will be the case for Ford Motor Company, too. But selling cars in China takes a different approach than it does in the U.S. 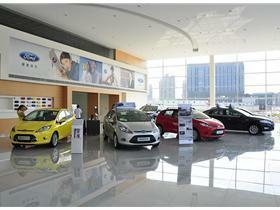 There's much that's familiar at Shanghai Dongchang Fude Auto Sales and Service. There’s the piped in music -- the salespeople hanging out near the front entrance, waiting to grab the next walk-in customer., and the lineup of shiny new cars on the floor. I'm on assignment in China following Governor Snyder's trade mission, and I'm sharing my thoughts as I travel. Feel free to write me back in the comments below. The Governor's trade mission is coming to an end, and so is my trip to China. I won't miss the smog and pollution, either in Shanghai (bad) or Beijing (worse). But it has truly been too short a trip to get more than a glimpse of everything that is happening with China's economy, its auto industry, and its cultural and population shifts. Frank Langfitt in Shanghai and Louisa Lim in Beijing surely have two of the biggest, most exciting beats in public radio. This fly-in reporter leaves the country in their incredibly capable hands. My adventures with taxis continued. I am starting to take this a little personally. Arriving back in Shanghai from Beijing, I got in the long queue to get a taxi to my downtown Pudong hotel. I decided I'd be a discerning and demanding customer this time around. I rejected several taxis that had no seat belt in the back. But when I found a taxi that was suitably equipped, and showed the driver the address to which I wanted to be taken, he shook his head, and drove up to grab the fellow who was behind me in the line. The next taxi cab driver whose cab had seat belts did the same thing. I asked the airport employee who was in charge of the queue to help, but he spoke no English. Nor did the first ten or so people in line. Finally, however, an angel arrived at the queue. Deserine Lim, fluent English-speaker and rescuer of helpless American travelers. She looked at my hotel address and explained that the taxi drivers didn't want me because it was too close, and they wanted a bigger fare. Ouch. Then, without my even thinking to ask, she suggested I split a cab with her. She'd drop me off at my hotel, and continue on to her destination. I'm not a Tennessee Williams fan for nothing. I, too, have always relied on the kindness of strangers. I got in the cab gratefully. My rescuer is a native of Singapore, she told me, visiting Shanghai just for a day on business. But she knows the town well, and told me what shops to go to near my hotel, what restaurants to haunt. We discussed American politics. When we arrived at my hotel, I paid the fare, and since it was clear her favor to me was going to cost her, both in terms of time and money, I tried to give her some money to cover the extra distance. She adamantly refused to take it. So, I shall have to content myself with paying it forward some day. Ms. Lim is Assistant General Manager of OSIM, a global provider of personal, health and convenience products headquartered in Singapore. OSIM is a co-owner of Brookstone, a company that provides such products in the U.S. Thanks, Deserine. You're a peach. Next stop for me: Shanghai Jiao Tong University, where I'll visit the Joint Institute between SJTU and the University of Michigan. I also plan to go to a shopping mall with my SJTU interpreter, Paul (Kang Yiping) to ask people about transportation issues. Then, another interview with a Ford China official, to learn more about the company's strategy to ride the next wave of demand for vehicles in the country. And tomorrow morning, I'll be on a non-stop flight from Shanghai to Detroit. They say the jet lag is a lot worse coming back. Michigan Radio, don't call me. I'll call you. I arrived on the fourth consecutive day of a smog health advisory in the city. Children are not supposed to play outdoors, and people with chronic health conditions are being urged to stay inside. Even if you are healthy, the smog is very irritating to your eyes and throat. Michigan has never seemed cleaner. Even the worst Ozone Action Day in Michigan in August can't hold a candle to this. Shanghai was windy while I was there earlier in the week. We need a good strong breeze to get this stuff out of the city, so people can breathe. The Chinese government knows it has a potential crisis on its hands, as more people move into the cities, and more of them purchase cars. That's why the government adopted a five year plan to vastly increase the number of electric cars in China. The big problem with that is infrastructure.